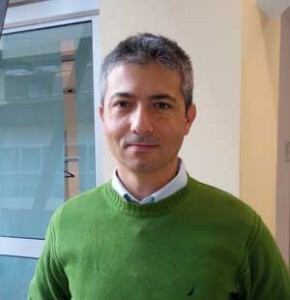 Emanuele Russo is a technical assistant at the Politecnico of Torino, in the department of Verrès. He has a Telecommunication Engineering degree as well as a Master in Computer Engineering. He has a long experience of teaching courses on Arduino, computer vision, networks, system administration and digital system design. His main interests are oriented towards the experimentation of free software and free hardware. He’s co-founder of the Aosta Fablab and of a Free Software Cultural Association in Aosta (SLAG). You will meet Emanuele during Week 1 where he will be in charge of sharing with you his skills and passion for Arduino.